Image: Monica Schipper/Getty Images Entertainment/Getty Images. 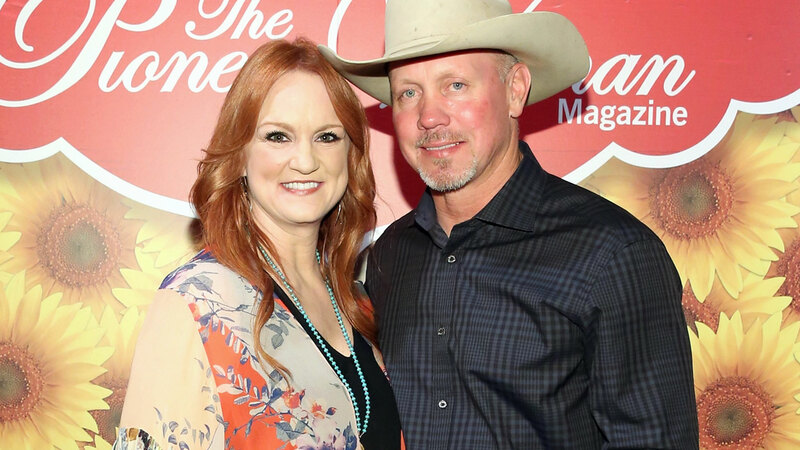 Food Network's Ree Drummond has had one eventful year. Back in April, Drummond and her husband, Ladd, opened up their new gorgeous hotel, The Boarding House. It was so well-received, in fact, that all eight rooms at the "cowboy luxury" hotel sold out in 30 minutes. Get psyched, because Ree and Ladd have opened up The Lodge on Drummond Ranch for tours. The Lodge is not only their family guesthouse, but it also serves as the production location for her Food Network show, The Pioneer Woman. To visit, you must get tickets first; you can grab them at the Drummonds' restaurant, bakery and general store, The Mercantile, which happens to be just three doors down from The Boarding House. No need to get the tickets ahead of time, either — because you can't. Show up the day of the Lodge tour, and they'll hand you tickets (at one ticket per group) and give you directions. Oh, and did we mention tickets are free? Plus, there's no limit to the number of tickets available on tour dates. Drummond does warn, though: Open drawers at your own risk. Drummond Lodge tours are back in full swing! As always, they're free and low-key: Just drop by @pwmercantile the day you'd like to take the tour and ask for the top secret directions to the ranch! Then make the short drive and walk through the Lodge at your own pace. (I can't promise drawers and fridges are clean, as we just finished filming my cooking show. Open at your own risk.) Petting Walter's head is an optional side activity. Just know that he's a bona fide country dog and you will want to wash your hands afterward. (Sorry, Walt.) Tours continue Monday through Saturday through August 18. See ya in gorgeous Osage County! "I can't promise drawers and fridges are clean, as we just finished filming my cooking show. Open at your own risk," she wrote in an Instagram caption. "Petting Walter's head is an optional side activity. Just know that he's a bona fide country dog and you will want to wash your hands afterward. (Sorry, Walt.)" Tours started Aug. 1 and will continue through Dec. 15, and The Lodge is open from 9 a.m. to 6 p.m. on open dates. You can find exact dates on The Mercantile's website. While anyone can attend, there's one exception: No pets allowed — and for good reason. According to the website, "country dogs can be very protective of the homestead!" Be sure to sign up for The Mercantile newsletter to get notified of new dates.